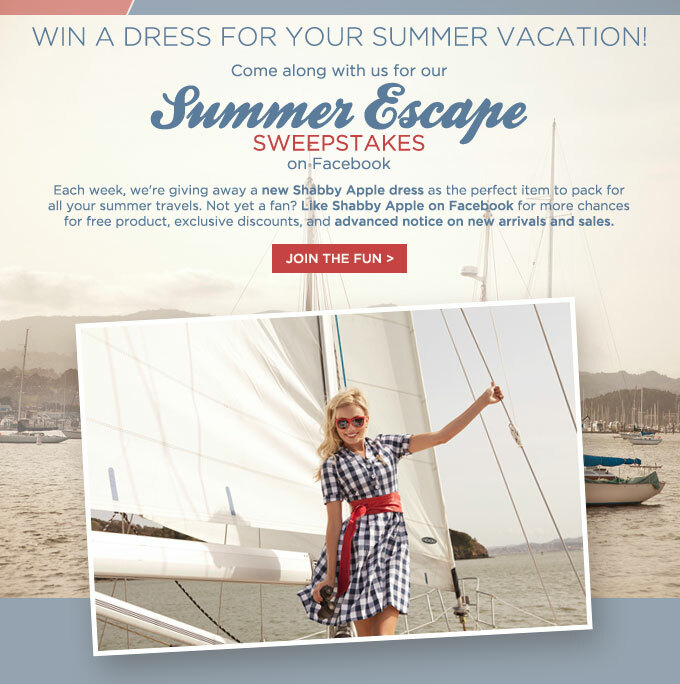 Shabby Apple is conducting their giveaway series now and one of which is the Summer Escape Sweeptakes. By liking Shabby Apple's Facebook page and joining the contest, you can win the Overboard dress (shown above). Don't miss out on this fabulous giveaway!